BPI Sports Best Pre Workout Review | Buy or a Scam? The very originally named ‘BPI Sports Best Pre Workout’ claims to be the first pre-workout supplement designed for those following a ketogenic or low carb diet, or those following an intermittent fasting plan. It’s also claimed to help endurance athletes who are looking to improve their performance and take it to the next level. Here, we examine the BPI Sports Best Pre Workout, to see whether it is as good as it claims to be. Read on to see what we think. The BPI Sports Best Pre Workout is a once a day powder supplement, designed to help the body to enter a state of ketosis faster. It should give users a boost of energy, strength, and mental focus. It is produced by BPI Sports, a US-based supplement company. What Are The Side Effects Of BPI Sports Best Pre Workout? Apart from the lycoris radiata extract, we believe that most of the ingredients in this supplement would be safe and generally won’t cause any side effects. There is a fairly high dosage of caffeine, so it is imperative to watch the caffeine intake in the rest of your diet, as too much can lead to consumers feeling jittery, anxious, disrupt sleep patterns, and increase blood pressure and heart rate. Lycoris radiata can cause gastrointestinal issues, including nausea, vomiting, diarrhea, loss of appetite, and weight loss. It can also cause sleep paralysis. How Much Does BPI Sports Best Pre Workout Cost? 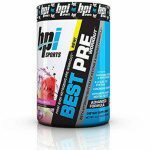 BPI Sports Best Pre Workout costs $19.99 plus free shipping on Amazon Prime. UK customers can buy it from third-party supplement stockists such as Muscle and Strength for £23.39. This is for 30 servings, which should last for around a month, if taken as directed. We are confused about this product. By its very name, it’s a pre-workout supplement, so it’s main aim should be to increase energy and performance, and we would expect the vast majority of ingredients to support this. However, the biggest blend in the supplement is their ketogenic blend, which is a whopping 7g compared to just 460mg in the energy blend. What is it primarily? A keto weight loss supplement or a pre-workout? BPI Sports need to make up their mind! Most of the ingredients in here are just totally ineffective. They don’t have the scientific evidence to support that it works, and even they did, we still wouldn’t know how well it worked (if it did!) because BPI Sports have decided to hide the ingredients under two proprietary blends, so we don’t know how much of each ingredient it contains. Usually, when a company does this, it is a cost-cutting measure. They fill the supplement with cheap and ineffective ingredients, and add the bare minimum of the ingredients that do have any benefit, and this is how they get away with it. We generally never recommend a product that contains a proprietary blend, no matter how good it looks. The only real decent ingredient in here – which, ironically, is the only one with the quantity listed, is caffeine, and whilst it’s good, you can get the same effects from a couple of cups of coffee. Taking these factors into account, we do not recommend the BPI Sports Best Pre Workout to our readers. Best Pre Workout is a ketogenic pre-workout supplement in powder form made in the US by BPI Sports. It is designed to be taken once a day, before a workout to give a boost of energy and focus, as well as helping the body enter into a state of ketosis quicker, to burn unwanted fat from the body. It is available in four fruity flavours. BPI Sports are a US-based supplement and wellness company based in America. The only contact details we can find is a phone number. If customers have any issues, they are encouraged to raise a support ticket with them on the website. What Does BPI Sports Best Pre Workout Claim To Do? BPI Sports claim the Best Pre Workout ‘utilizes an exogenous blend of ketones to let the body enter a state of ketosis faster, whilst providing energy boosting ingredients for heightened mental focus and energy and increased strength and performance’. Does BPI Sports Best Pre Workout Work? We cannot say if it works or not as we do not know the exact quantities of each ingredient. However, as it is a proprietary blend, we believe that the quantities of any effective ingredient are very small, and the rest is made up with cheaper and ones with less benefit. Apart from caffeine, we don’t really see anything here that is going to have any real impact. What Are The Ingredients of BPI Sports Best Pre Workout? Captex Medium Chain Triglycerides (MCTS): This is believed to promote fat loss, but it is not proven to be effective. It is also thought to help to enhance athletic performance, but again, there is very little evidence backing this up. Beta Hydroxybutyrate (BHB) (as salt form): This is an acid which is effective in treating depression, anxiety, and cognitive impairment. It is an exogenous ketone, so not produced by the body. Some research has shown that taking of BHB 15 minutes before exercise has been shown to decrease the amount of oxygen consumed, making exercise less taxing. Calcium/Magnesium/Sodium Hydroxybutyrate (as goBHB): This is a patented blend by Compound Solutions, who have touted it as “delivering an immediate boost of energy and performance to athletes, busy professionals and ‘Biohackers’ looking for an edge.” It is thought to also aid fat loss and suppress appetite but there is a lack of evidence around it. There is also a lack of research into potential side effects. Caffeine anhydrous (250 mg): This is probably the best and possibly the only effective ingredient in the supplement. We know that caffeine is a good energy boosting ingredient, and this is a good dose. CDP Choline: We are not really sure why this is in the ‘energy’ blend as it is more of a nootropic compound, with mental focus boosting qualities, but nothing in the way of energy boosting properties. Solanum Tuberosum: This is otherwise known as the humble potato. It is high in vitamins and minerals, and has a high GI (glycemic index), which means it gives a quick boost of energy. However, there is no proof that it works in supplement form. Taraxacum Officinale (root): This is the simple dandelion root. Like many of the other ingredients in this supplement, there is no proof that it has any energy or weight loss boosting qualities, although it does act as a diuretic. Lycoris Radiata Extract (bulb): This is the ingredient that we like the least. It is also known as the red spider lily and is highly toxic. In fact, in Eastern Asia, it is used for pest and mice control – not something you are going to want to put into your body! Does BPI Sports Best Pre Workout Have Any Side Effects? Caffeine can cause a few side effects, particularly if the user is sensitive to it. This includes making them feel jittery and anxious, insomnia and disruption to sleep patterns, heart palpitations, and increased blood pressure and heart rate. Lycoris radiata can be quite toxic.c It can cause sleep paralysis, and gastro issues such as sickness, stomach upsets, a loss of appetite, and weight loss. Not intended for use by persons under 18 Do not exceed the recommended dose. Discuss with a doctor or healthcare professional before use if you are taking medication, have a medical condition, are pregnant or breastfeeding, or are thinking about getting pregnant. Keep out of reach of children. Do not consume caffeine or combine with synephrine, including but not limited to coffee, tea, soda and other diet supplements or medications containing caffeine or phenylephrine. 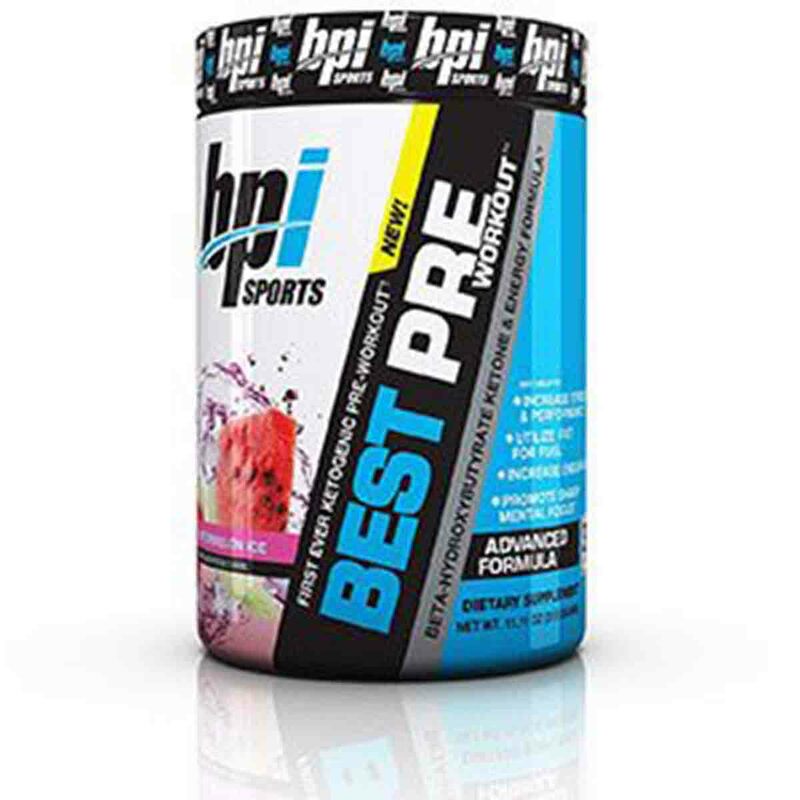 Are There Any Customer Reviews For BPI Sports Best Pre Workout? There are 62 reviews on Amazon, with an average rating of 3.7. Since this was my first pre workout I was trying I decided to go with something more mild. Also I am on keto so I thought this pre workout would be perfect. First off i got watermelon ice and it tasted amazing, but I felt no affects taking this pre workout. I had no extra energy, focus, strength, or endurance. I even tried to take 2 scoops and see if that would help but, i still felt nothing. I would not recommend this product to anyone. Does BPI Sports Best Pre Workout Offer a Money-Back Guarantee? Items cannot be returned if they are opened. Merchandise that has been worn, used, opened, or altered will not be accepted for return or exchanged. Exchanges of any of product, regardless where they are purchased from must be within 30 days of your purchase due to a manufacturer defect. BPI Sports is responsible to decide what products are eligible for exchange due to a manufacturer defect. Where Can I Buy BPI Sports Best Pre Workout? You can buy it directly from the website or Amazon. There are also third party resellers based in the UK. How does BPI Sports Best Pre Workout compare to Phentaslim? The Diet Pills Watchdog does not recommend BPI Sports Best Pre Workout.